What does it take to earn a spot on the list of “Best Animation Programs?” Many students think cost is a major deciding factor, while college ranking agencies look at other factors such as student selectivity and teacher-student ratio. Well, when it comes to compiling the list of the best colleges and programs, the college ranking agencies are correct! Other factors commonly used to calculate official scores include peer assessment, financial resources, graduation and retention rates, faculty resources (such as class size), and program offerings. Each factor carries a certain amount of weight, which helps calculate a final overall score. For example, classes with fewer students carry more weight than classes with dozens of students, and the number of students that graduate in four years carries more weight than the number of students that graduate in five. Schools that made the cut can be found from coast to coast, but if you’re looking for a warm climate and less bustle, New Mexico might be a good choice. 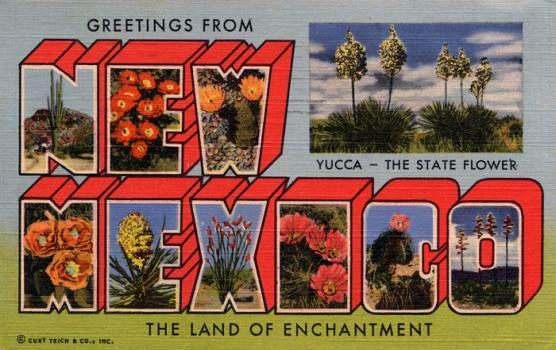 Thanks to New Mexico’s unique landscape, relaxed film office, and local talent pool, many productions, including films, television series, and commercials come here to shoot. This helps keep the state’s production studios humming and its talented filmmakers and animators working. This is great news for students, because the future of the state’s animators looks pretty bright. There are 44 accredited colleges and universities in the state of New Mexico. Many of them offer animation programs. These programs are among the best and they help supply the states studios, ad agencies, and gaming companies with top-tier talent. Just a few of the best animation programs are offered at New Mexico State University in Las Cruces and Eastern New Mexico University in Portales. Browse through our list below to review some of the best animation school programs in New Mexico and what they have to offer.